Oriano Solar commissioned 18.75 MWp solar PV plants located at Rawan (12.5 MWp) and Hirmi (6.25 MWp) in Chhattisgarh in February 2019. Oriano Solar was the Engineering, Procurement and Construction (EPC) contractor for these projects. These plants will generate clean energy that will offset annual carbon dioxide emission of 22,000 metric tons and have created 235+ construction jobs over a period of 3 months. 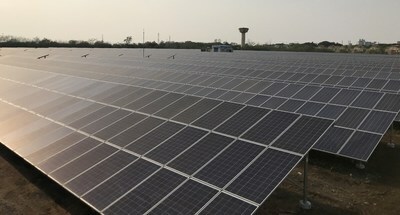 "These solar PV power plants, jointly developed by Aditya Birla Renewables Limited and Ultratech, contribute to achieving India's Solar Energy goal of 100 GW by 022. With high construction quality and execution, Oriano team constructed the solar PV project in a very short time of less than 3 months," said Samir Dash, Vice President - Operations, Aditya Birla Renewables.